Metsovone is a smoked cheese produced in the Metsovo area in northwest Greece, hence its name. It is made from cow’s milk, or a combination of cow’s and goat’s milk. The taste is slightly sharp, not unlike Swiss cheese. During production, metsovone is suspended from the ceiling so that nothing touches the surface of the cheese. Mold is allowed to accumulate on the outside which helps fermentation, adding to the cheese’s unique taste. 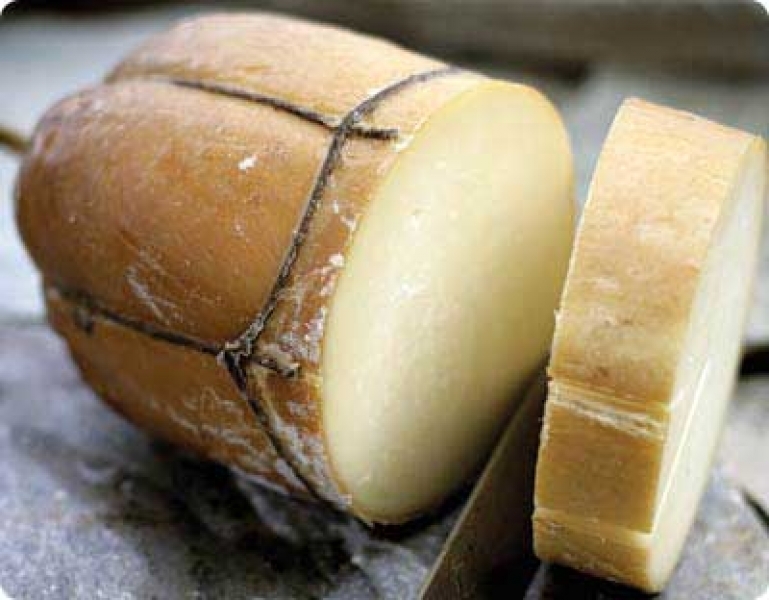 Metsovone has a dark gold or light brown rind and the cheese is a pale yellow color. It is sold in oblong rolls, the same shape it takes while hanging to cure. 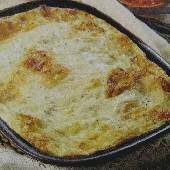 Metsovone is most often used as a table cheese where its smoky flavor makes it ideal to serve as a meze or snack; however it is also used with other ingredients as a delicious stuffing for butterflied steak, and – with other cheeses – in cheese pies and other recipes. Smoked gouda (smoked over a flame rather than by chemicals) is a good substitute.